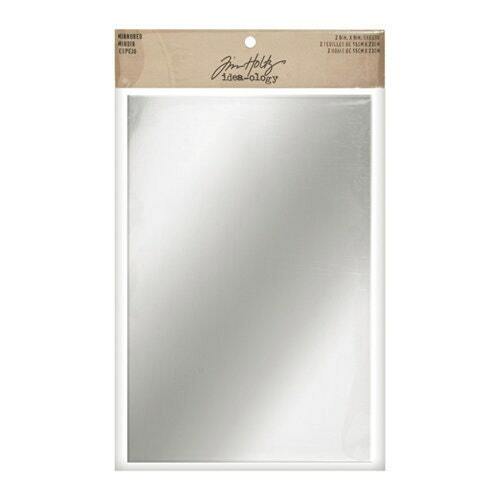 The Adhesive Mirrored Sheets from Tim Holtz's Idea-ology Collection are perfect for die-cutting or inking. Add this adhesive-backed reflective material to cards, tags, layouts and more. The package includes two mirrored sheets that are approximately 6" x 9".